Asmodexia is a Spanish horror film about exorcism directed by Marc Carrete. Sometimes a film creeps up and takes you by surprise and I happily admit this is one such film, from the beginning to the very end I was glued to the screen, the language barrier just adding to the mystery. Asmodexia takes place over four days in a very hot December, an ominous title card comes up for each of the four days counting down till 'resurrection' which I took to be the apocalypse. The film while taking place in the relative normalcy of 2012 still feels very much post apocalyptic in nature. The two main characters are on a walking road trip, they wander down dusty back roads, graveyards and graffiti laden abandoned buildings (such as a particularly striking water park). 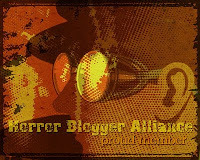 The people they themselves interact with is limited, the only other characters mostly integral to the plot. It is all in Spanish with English subtitles but for me this added to the mystique, the dialogue is often almost riddles, the characters know what is going on in their world and their script is not written for the viewer to readily understand, it is all so ambiguous which makes for some great later revelations. It looks crisp and smooth and has some great use of editing to reveal key plot points. Flashbacks to the late 1990's where Eloy and a whole host of incidental characters are revealed to have been part of a religious cult is expertly done, shown as a VHS tape a character watches the film often returns to this footage to reveal new surprises. This past is also shown via newspaper clippings, while in present day (well present 2012) news anchors talk about the sudden emergence of cults and brutal exorcisms happening across the country that coupled with the countdown on screen indicate something big is going to occur. The soundtrack is also excellent, the music is all spot on and adds to the bizarre goings on, Asmodexia is also yet another film I have watched lately that has the most perfect credit music. I wouldn't say I'm opposed to the exorcism genre, I have seen some good ones over the years, this may be the very best. The exorcism scenes when they come are often short and snappy, they are integral and feature some great effects but never last too long. You get victims puking up green goo with white eyes but the overall make up effects are great, they look dishevelled and diseased complimenting the grimy locations well. Opening with a possessed woman giving birth later scenes of possession see people with strange symbols burned into their flesh and many unnatural sounding voices. A lot of the film is the journey Eloy and Alba go on, their relationship seems natural and their interactions with others such as a teenage boy Alba befriends seem realistic. The sub plot of the woman in the mental asylum is a bit weaker though, I didn't readily understand what was happening and with her being alone there was no one for her to talk to meaning there were a few scenes of her wandering around the rapidly deteriorating place not really seeming to do much. It was nice to see a movie where the nurses of the asylum location were not corrupt, they actually seemed to care for their patients; refreshing! The plot is the best thing about Asmodexia, the revelations really turn around the classic exorcism genre on it's head while the careful threading of all the individual characters into one singular story is impressive. I spent the whole film thinking one thing only to be surprised in a good way, this falls into the category of one of those movies that would give a different message on a re-watch. It leads up to a finale that is quite subdued, actually far preferred to the usual over the top shenanigans of the genre, the final parting shot is awesome. I did question the decision to mark the end of the world as 12/12/2012 (which was the date that the Mayans had indicated) in a post 2012 world, felt slightly antiquated. While this is never scary it is very absorbing, well translated for the most part and the plot makes you think for sure, while the cohesive look and sound delights. Aside from a few low points in the asylum sub story there is not much at all to dislike here. 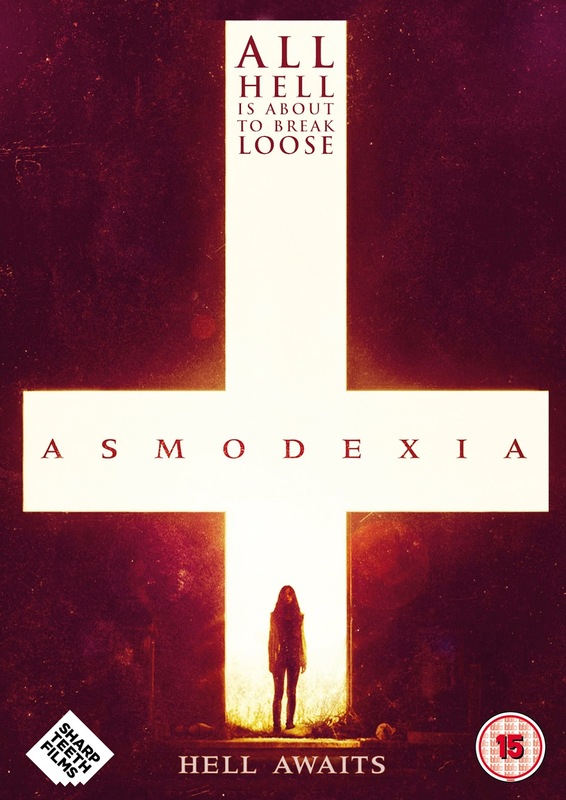 Asmodexia is due out on UK DVD on 28th March courtesy of Sharp Teeth Films.